43,5 x 33,2 cm - 17 1/8 x 13 1/16 in. Durand-Ruel, New York - Paul J. Sachs, Cambridge - Fogg Art Museum, 1965. 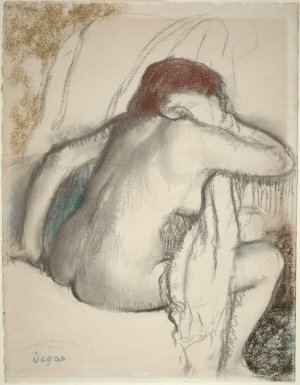 Cambridge, Fogg Art Museum, Degas at Harvard, fig. 9, repr. p. 29.